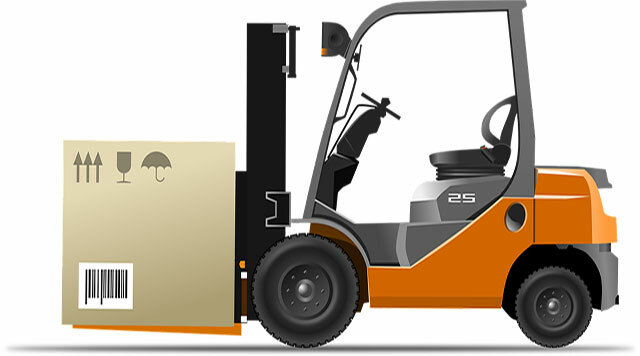 Your forklift trucks are probably essential to your business. You’ve invested heavily in good quality trucks and trained your staff, they know about health and safety and hopefully, how to treat their forklift trucks with care. What else can you do to preserve the life of your forklift truck? Once important factor is the battery, and in this post, we’re going to be looking at how to extend its life. We’ve condensed our guidance into 12 easy to remember tips, so read on to help preserve the life of your forklift battery. Your forklift battery is worth at least 30% of the truck’s value, and it should give you at least 6,000 hours of life. So it pays to take care of it. It helps to reduce downtime and avoid potential accidents, which can be caused when everybody rushes to charge up at the same time. Keep in mind that it shouldn’t be charged more than once a day. Any deep discharge harms the battery and electrical components, which can become hot quite quickly. This in turn could damage the truck beyond repair. Don’t fall for ‘opportunity charging,’ the lifespan of your forklift is determined by the amount of change cycles you go through. If you have short charges constantly, then you’ll see a steady decline in the battery’s efficiency, so allow it to cool off during the down time. During a charge cycle, the water will heat up and split into 2 gases, which releases hydrogen bubbles and oxygen. By allowing the water level in a cell to drop too low, will expose the plates to air, which allows active metal in plates to dry and then become brittle, which can lead to permanent damage. It is therefore crucial that you add water to the battery at regular intervals. You’ll see a result of 10% in downtime with a fast charge. You’ll find that any battery can be fast charged, but the heat generated will reduce lead acid battery life expectancy. Therefore, it makes sense to leave fast charging for emergencies only. Loss of sulphation from overfilling will prevent your forklift from charging. This can occur in warm temperatures, so always check for white crystals. Always make sure the charger is well cared for, after all, it’s a significant investment. Keep it away from moving trucks or any plant equipment. Make sure all cables and plugs are away from the floor as well. This can only take place while the battery is charging, and you’ll find that the charger has an equalizer setting. Many batteries will need equalising after around 5 to 10 charge cycles, but check your forklifts maintenance specifications first. Warm water or battery cleaner is best for this job. Do it monthly, because otherwise a build up during the charging process will eventually cause tray corrosion, possible voltage tracking and negative effects on electronics. It should be on all cells using a hydrometer, ideally following a charge. Do not perform a mid-shift swap. Always aim for consistency at all times. Make sure your staff know to keep an eye out for any issues, anything unusual and to report it immediately before they become bigger problems. We hope you found our guide on how to extend the life of a forklift truck battery useful. If you follow our helpful tips, you should extend its life and have a forklift truck which gives you many years of trouble free loads.